I have already talked about Best CPA Affiliate Networks and Grammarly Affiliate program based on my own experience which will help you to earn some extra cash online and monetization of your website. Now, I am going to talk about One of the Best Affiliate Program around for a while, which is Amazon Affiliate Program. As we all know Amazon is the world's biggest marketplace with more than 320 million customers globally. But this fact is not enough for you to become an Amazon affiliate, the main influence comes with their offerings for the affiliates. You can get up to 15% commission on the sale amount, though it depends on the product category. 15% is a BIG AMOUNT, isn't it!!! If you are a blogger or a website owner or an affiliate marketer, you can simply write an article or post your affiliate link to a website or market your affiliate link in social sites to earn commissions on each sale generated through your link. 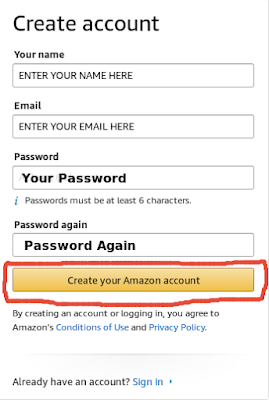 How to Sign-Up for Amazon Affiliate Program? The first thing you should keep in mind is that your targeted location (country). As Amazon has different structures for commissions and promotional offers depending on geographical locations. 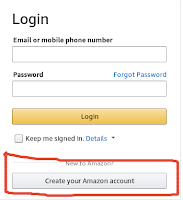 Say, If you want to target the Indian market then you have to sign up to Amazon.in Associate Program or you can use this link. If your target market is the USA then you have to sign up US Amazon Associate Program or you can use this link. Now, what about other countries associate program? If Amazon available to your country then you can simply go to amazon site homepage and scroll down to the last of the webpage and click on the Become an Affiliate link and sign up with your information. See the image below for better understanding. Vist Amazon Amazon Affiliate Sign Up Page and click on "Join Now for Free" Button. 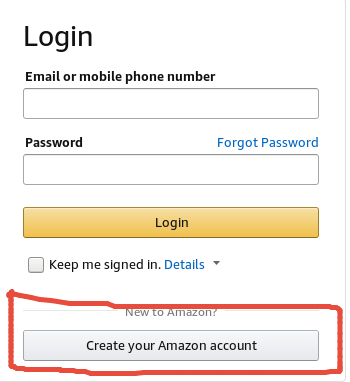 Click on "Create Your Amazon Account" Button. 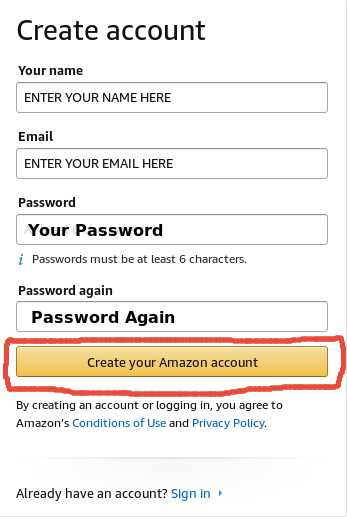 Fill-out all the details and click on "Create Your Amazon Account" Button. 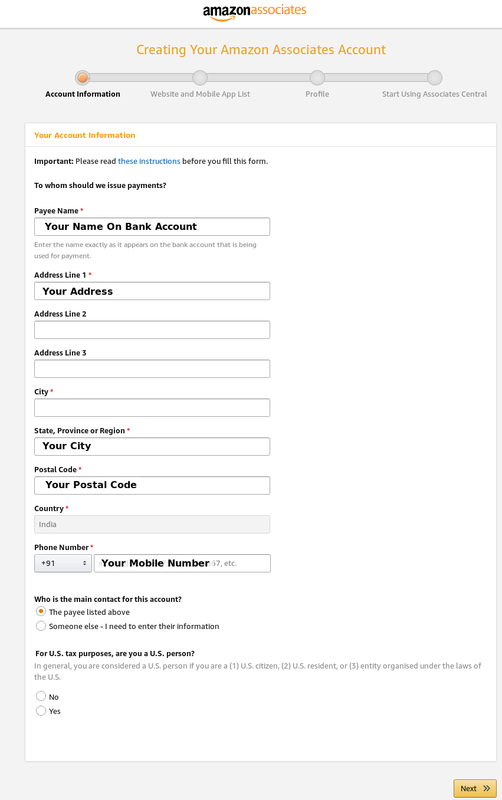 Now enter Your Address and Payment information. Only thing left now is to enter website address and complete profile. After that you can collect your affiliate promotional tools and ready to earn. 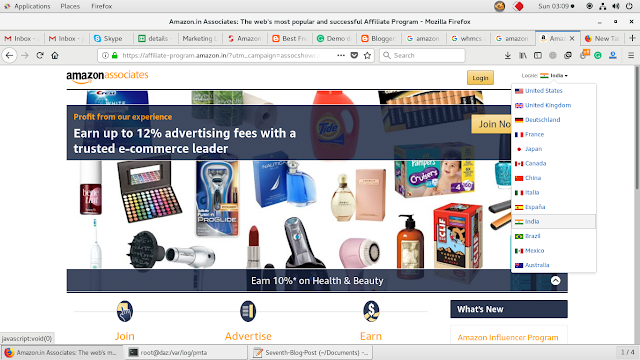 How to Work as an Amazon Affiliate? 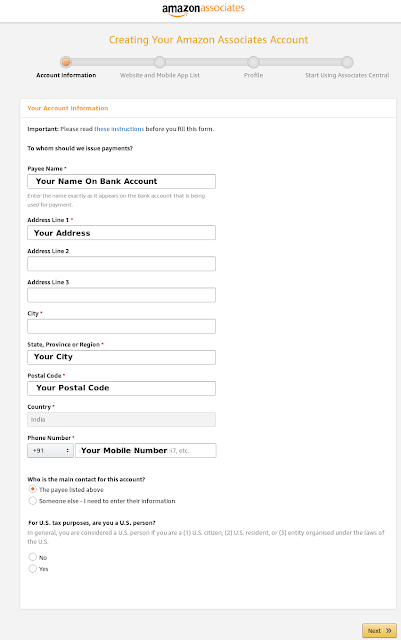 I assume that you have followed the above-mentioned signup process and already an Amazon Affiliate Account holder. Now You have to get your banner, links or promotional tools to start referring customers. First, select a niche to start working with. Like you want to promote mobiles or gadgets, you can simply search for that through your affiliate dashboard and get promotional link or banner. All you have to do is to get some purchase through your link. There is a whole lot of possibility as far as the Amazon Associate program is concerned. All you have to do is to promote your link through different mediums. I have been working with Amazon for last one and a half years and earning a good amount of cash with them each month. Do let me know if you face any issue signing up for the Amazon Affiliate Program.